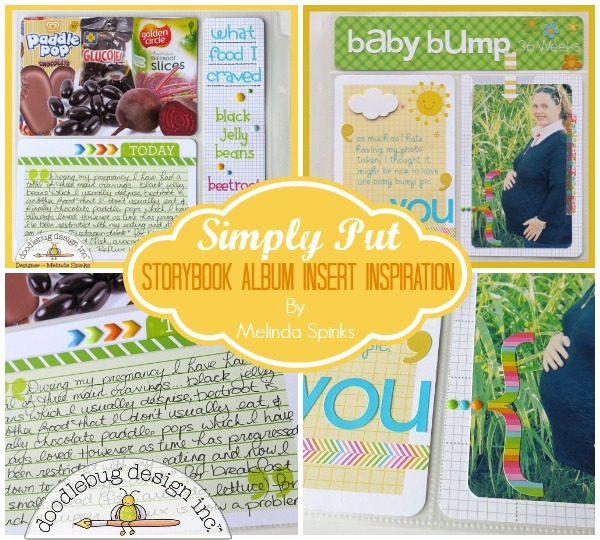 Such an awesome layout, love how Melinda memorialized her pregnancy. The colors look amazing! 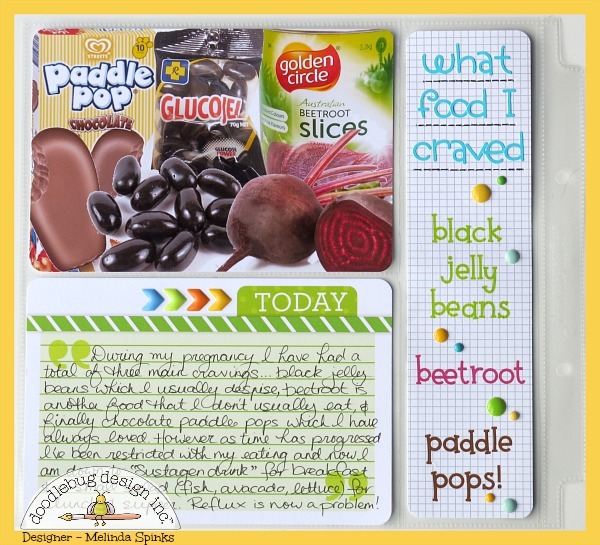 I am a huge fan of your products and have been pinning away to my Doodlebug board. I will keep my fingers crossed for a birthday present on Sunday which is my actual birthday! Thanks so much for the chance to win such an amazing prize! Love this sweet page, precious memories!!! What a wonderful scrapbook memory to treasure and look back on years from now.. I shall be pinning more and have pinned already. Thanks for the opportunity to win your giveaway. Shared on FB! I love Doodlebug Design! LOVE your baby bump photo & cute page, I think that the smiling sun is my favourite :) I think that your craving page is REALLY COOL too, a precious memory to preserve and share!!! GOOD LUCK on catching up and keeping up from now on. 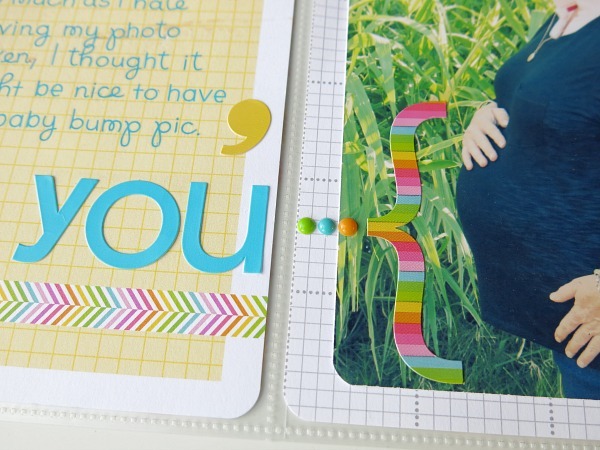 THANK YOU for sharing your preggie pages and creative inspiration!!! THANK YOU for the inspiration AND for the TEMPTATION too!!! Pinned your layout, love it! Instagram, your pics were awesome. Loving the spring cuteness and Easter LO. 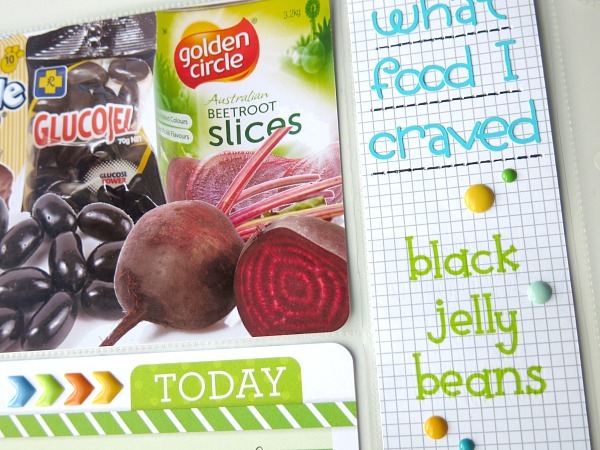 Very fun layout that documents an important part of your childs life...love the happy colours. I pinned these layouts...nice elements like washi to attach the picture. Wow this line is so happy and fun! Love these pages too! Love, love this layout and the way it documents such an important phase of a life!! Thanks so much for sharing - It turned out fantastic!!! http://www.pinterest.com/pin/99923685457042456/ - another pic pinned here!! I love how bright and cheery this is without being overly babyish! And I love the details of your pregnancy that you documented! I AM YOUR BIGGEST FAN!!! My pinterest board "creative crafts" is filled with Doodlebug Designs. I added these two this morning. http//www.pinterest.com/pin/391813236303770015 and http//www.pinterest.com/pin/391813236303770025 I'm not that computer savvy but my kids are giving me pointers and I'm going to share some layouts and cards I've made with Doodlebug products. I love pinning Doodlebud Designs! Great work!